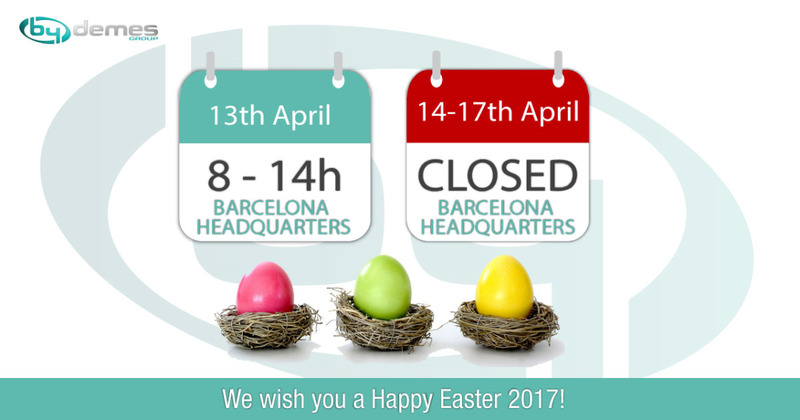 We inform you that on Thursday, April 13 our offices in Barcelona will be open from 8 am until 14 pm. Friday, April 14 and Monday, April 17 these will be closed on the occasion of Easter Holidays. We will serve you as usual on Tuesday, April 18.